Dubbed “Project D,” the ring was polished using both laser cutting and traditional techniques. 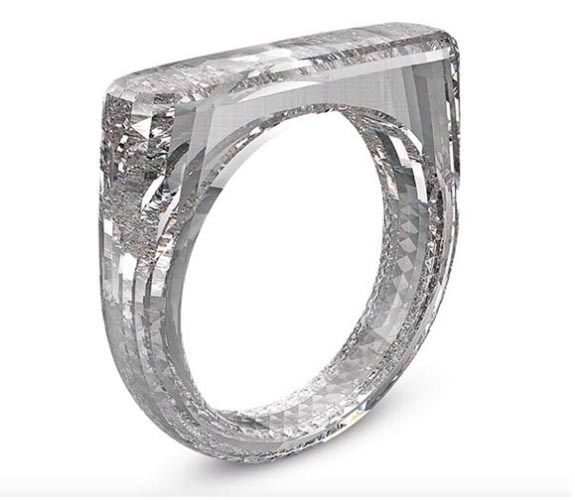 The end product boasts 133-facets and a total weight of 3.86 carats. 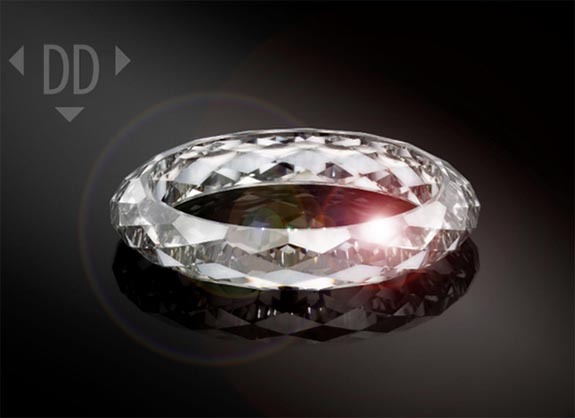 HRD Antwerp, Europe’s leading authority in diamond grading, determined that the ring has a clarity grade of VVS2 and a color grade of E, with excellent symmetry and very good polish. DD noted that until a few years ago, the technology didn’t exist to create a lab-grown diamond plate suitable for “Project D.” The quality and carat weight of CVD synthetic diamonds has increased drastically over the past 10 years. DD reported that the 155-carat plate from which “Project D” was carved took five weeks to grow in its laboratory. Credits: Image of “Project D” ring courtesy of Dutch Diamond Technologies. Image of (RED) Auction ring courtesy of Sotheby’s.